One of my hobbies is astronomy, a branch of which is chasing solar eclipses. Solar eclipses occur when the Moon passes in front of the Sun in the course of its orbit. About once or twice a year there is a narrow strip across the Earth where an eclipse is visible. For more information about eclipses in general, please visit Fred Espenak's Mr. Eclipse website. Below is a table of solar eclipses I have observed, attempted to observe, or plan to observe. Links to full reports are available. NEW: My software for controlling cameras during an eclipse is now available. No photo. 1991 July 11 Total 50% Partial Colorado, USA It darkened a little. 117° 4' 36" W Impressive, right at sunset. I watched from near centerline within the path of refracted annularity. 117° 6' 19" W It got pretty dark. 116° 49' W Only saw a small nick taken out of the Sun. Yawn. 28° 3' 28" E ? Saw totality from centerline. Spectacular! 116° 22' 49" W Had to drive like mad to get out from under clouds. 105° 21' 27.8" W Was on centerline but missed annularity due to Tropical Storm Boris. 136° 2' 1.7" E Saw totality from centerline. Very Spectacular! 3° 4' 4.2" W Fogged out, it got dark. 11° 25' 57.0" E Awesome totality, squashed and right on horizon. -20C ambient temp. 0° 42' 24.7" W Solar Eclipse Conference was a big success. I have MP3 recordings of all of the sessions here. 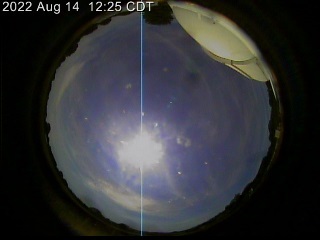 109° 30' 11.4" W Clouds cleared minutes before totality; glorious view of chromosphere. 12° 52' 12" E A fantastically fun trip, with an insanely long eclipse. 118° 18' 1.3" W Solar Eclipse Conference was a huge success. I have MP3 recordings of all of the sessions here. 91° 38' 53.6" E Awe inspiring surroundings and the most 4x4 off road fun I've ever had. 173° 18' 28.0" E A very relaxing trip with a tense nearly-clouded-out eclipse. 94° 51' 27.0" E Awesome surroundings and perfect weather for a saros repeat! 138° 26' 32.5" W Best corona I've seen so far! tba On centerline, perfect weather! tba Saw totality between clouds. 2013 November 3 Hybrid (1m 40s Totality) Map West Central Africa Upcoming eclipse. Unsure if or how I will see it. 2015 March 20 Total (1m 59s Totality) Map North Pole Upcoming eclipse. 2016 March 9 Total (4m 9s Totality) Map Southeast Asia Upcoming eclipse. NE, MO, TN, SC Upcoming eclipse. First total in continental United States since 1979. Time in totality: 20m 49s (1249 seconds). Success rate: Totals 9 for 9, Annulars 2 for 4, Partials 3 for 4, "travelled to"s 10 for 12. Lunar eclipse and Mercury transit photos are here. All text and images are © 2001-2009 Manfred Bruenjes - All Rights Reserved. Image inlining (aka hot linking) and framing are strictly prohibited. Email for permission before using an image or text.